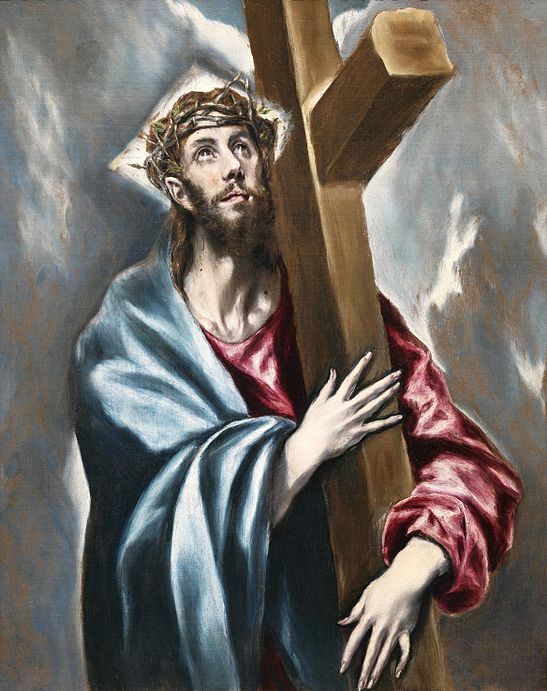 He first became popular when he began to paint religious scenes at the cathedral in Toledo. 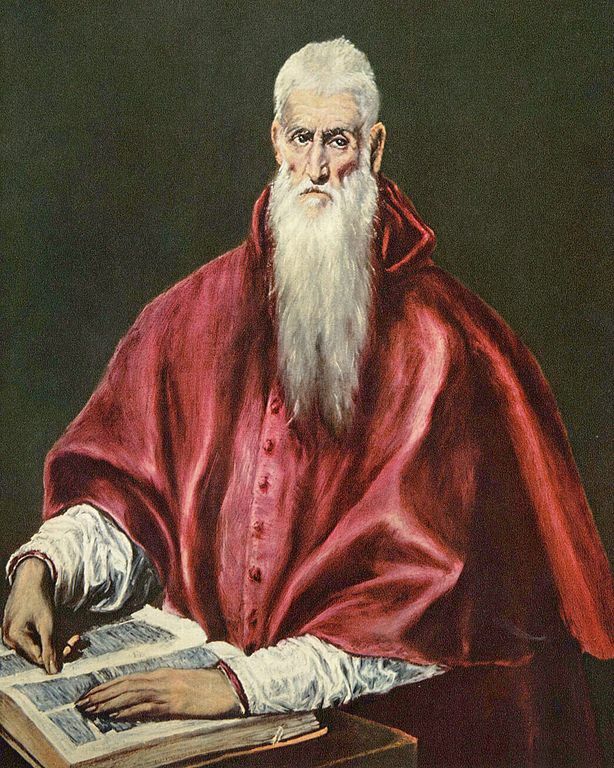 The figures in his paintings were different than other painters would have done them–they looked tall and stretched out–their legs, necks, faces, and arms were thinner and longer than real people have. He used color to express emotion within his paintings (often blues and other cool colors) instead of painting the scenes in their exact real-life colors. He believed that showing emotion in art was more important than showing reality. Here are two of his paintings that express this style. The first is a religious scene of Jesus Christ. The second is a picture of St. Luke. You can see how elongated and thin the figures appear. 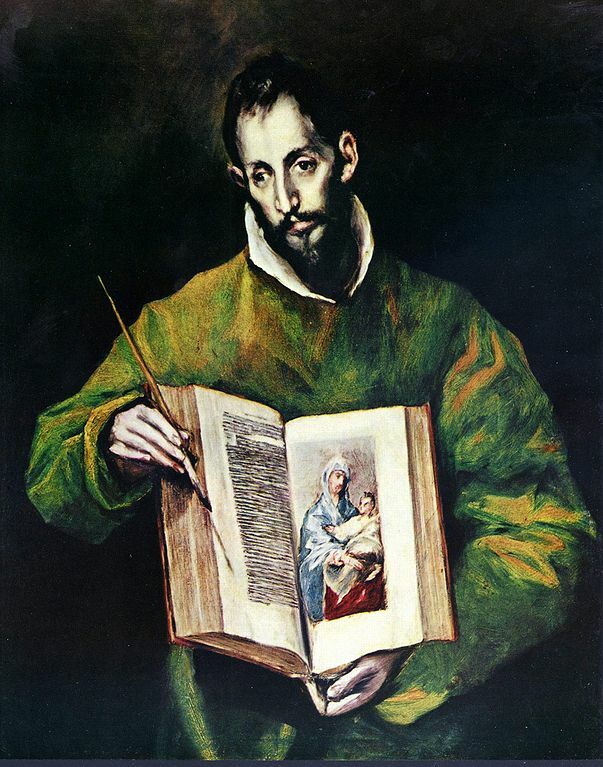 Kids can have fun creating an El Greco style picture of themselves. It’s super easy. 2. Cut across the photo several times. Cut at the ankles, knees, hips, waist, chest, and neck. 3. Now, take the cut strips and glue them on to a piece of white paper, leaving a little bit of room between each section. This will end up making the person look long and thin. 4. Put another piece of paper over the first one, and trace the new outline. You’ll have to fill in the blank spots with lines to connect the body back together and make it look complete again! 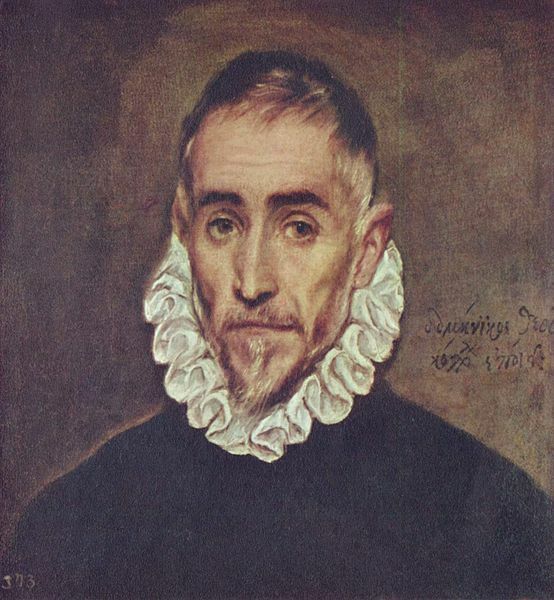 You may suggest that the kids color it in the same cool-colored style of El Greco, using mostly blues. They can add background colors if they like, or you can just put the focus on the tall, stretched out figures. If they still want to have a little fun, try making a really wide, fat person by cutting the strips vertically this time! This one was done by my 5 year-old daughter in her art sketchbook.